NEW YORK, N.Y. January 12, 2017 -- PwC have announced an innovative agreement with GE to provide integrated, enterprise managed tax services to GE on a global basis. As part of this agreement, PwC will hire more than 600 of GE's highly regarded tax team members from around the world and acquire GE’s tax technologies to further both PwC's focus on the Tax Function of The Future and the provision of global enterprise tax solutions to the marketplace. 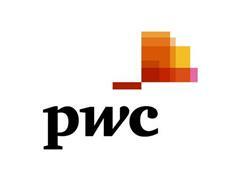 PwC has the largest tax practice in the US and the world with a global network of 41,000 tax professionals operating in 157 countries. Leveraging the proven experience and expertise of the GE team, PwC believes it has identified an opportunity that recognizes the future needs of a rapidly changing marketplace. The arrangement with PwC comes after GE looked to reevaluate the optimum delivery of these critical global tax services now and into the future. The new Global Enterprise Tax Solutions team will sit within PwC Tax and will provide managed services not only to GE but also to other PwC clients as well. The five-year, renewable agreement will be effective April 1, 2017.